Mr. James Lynn Lancaster Sr., age 63 of Hopkinsville, passed away on Tuesday, December 4th at the Halifax Health Medical Center in Daytona Beach, Florida from injuries sustained in a motorcycle accident. He was born March 5, 1955 in Hopkinsville, Kentucky the son of Kenneth Wagoner and Christine Lancaster and was raised by his grandparents Thomas D. & Sylvia Lancaster of Hopkinsville. He was a diligent factory employee until he received his heart transplant in 2014 and since he has worked painting houses, mowing lawns and repairing engines. 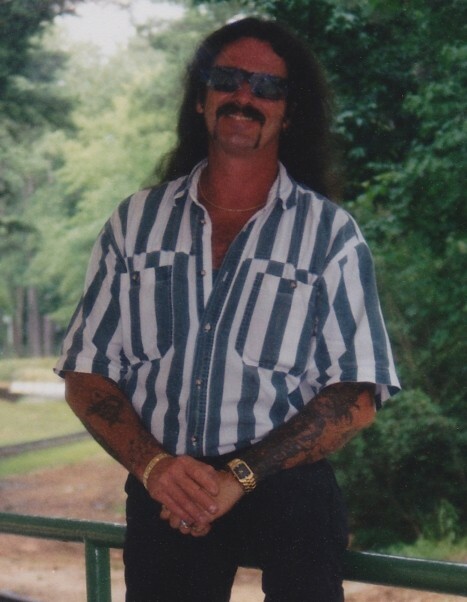 He was a talented tattoo artist, Harley Davidson memorabilia collector and Harley Davidson enthusiast. He loved his family and lived life to the fullest. He was loved by all and will be missed by many. He was preceded in death by his parents as well as his grandparents; his first wife Chris Lancaster; four brothers Robert Earl, Larry Thomas, Donald Ray and Kenneth Ray Lancaster and one sister Lora Dale Lancaster Phillips. He is survived by his fiance Glenda Curtis of Hopkinsville; a son James Lynn Lancaster Jr. of Clarksville; two daughters Jessica Lynn Lancaster of Clarksville and Casey Nicole Allmon-Powell of Bowling Green; one brother Rick Falardeau of New York; one sister Christy Elaine Wagoner of Oak Grove, Kentucky and seven grandchildren.